If you look around the main floor of our house, there's only a few pieces of furniture that we've bought ourselves. Everything else has been given to use, mostly by Jon's parents. We love when we get the phone call, "Could you use this?" or "Would you like to have this?" Last year was no different. Jon's parents were in the process of making his old bedroom into the grandsons' bedroom/playroom for when they stay and visit. 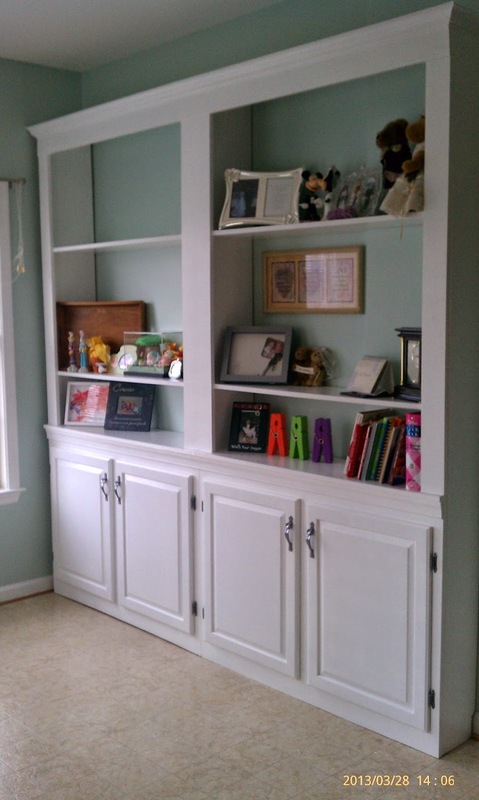 When they bought the house over ten years ago, the built-ins were actually in the living room and were two pieces. 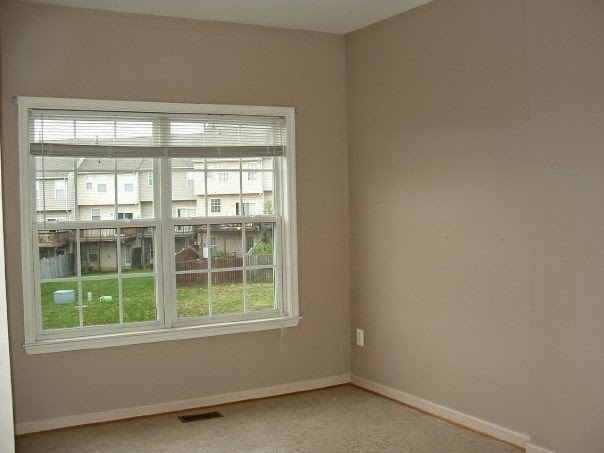 They moved them into Jon's bedroom and added some molding to make it look like one big built-in. At first, I wasn't sure that we could use them. 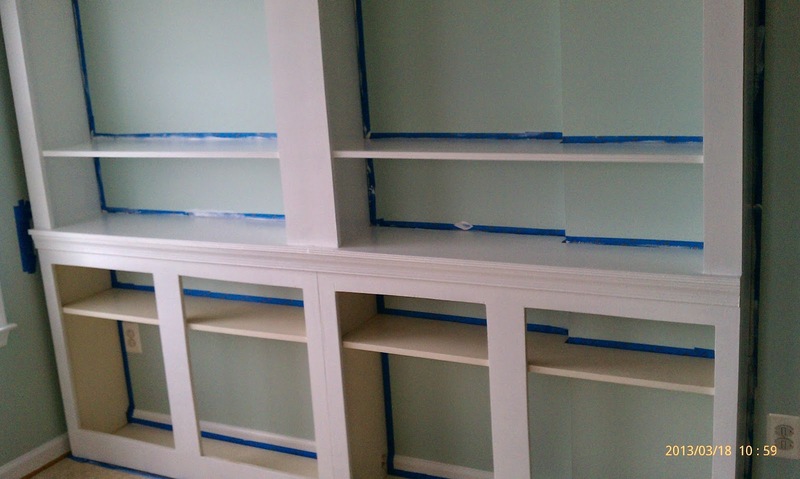 We asked about dimensions and the only place we had available was our kitchen bumpout, but we had to do some work before bringing in the built-ins. We had actually been using this area as more for storage than living space. This is what it looked like when we bought it in 2008. Such a bright area even with all that nasty brown walls. So not only did we have to move all the stuff out of the room, we had to change that nasty color. Before we moved into the house, we had picked and bought all the paint for the whole entire house. 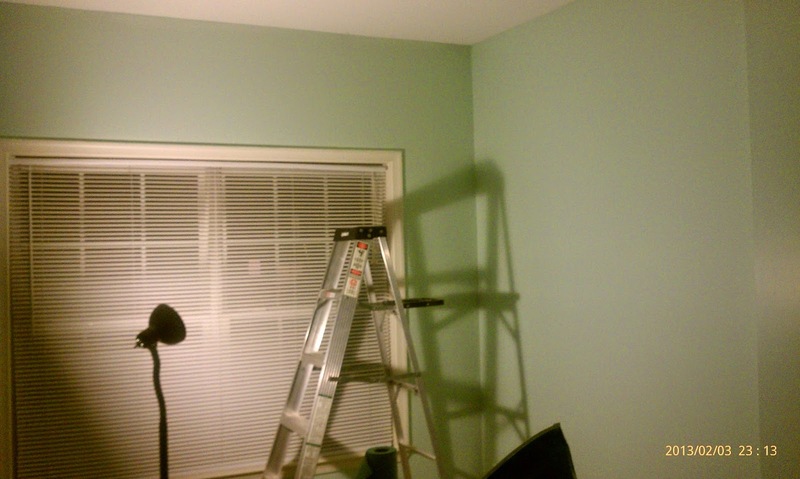 Jon got the paint out and started painting the walls a wonderful shade of light blue/green and painted all the trim in white. Once the walls were painted, we made plans on when Jon's dad would come down and bring the built-in. Jon and his dad put the built-in back together piece by piece and made some modifications for it to fit in our house. Our bumpout wall is not flat so they had to cut out part of the one side of the built-in and the shelves to make it flush to the wall. You can barely tell that there's a little bump in the wall that it's against. 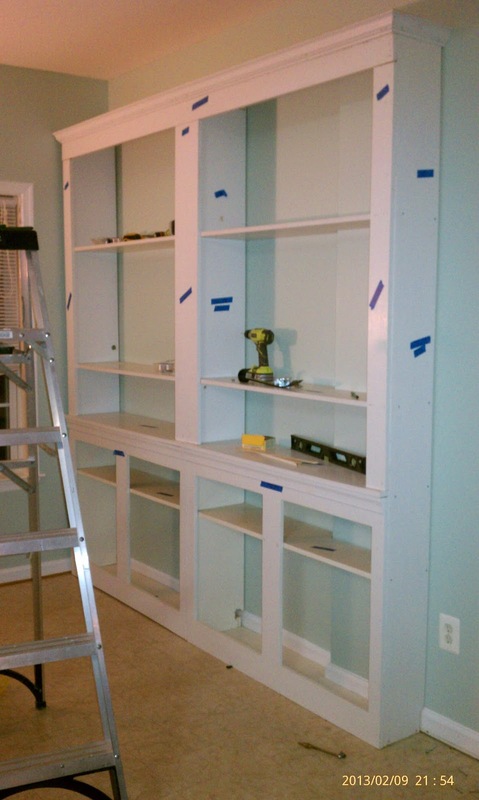 We painted the built-in the white that we're plaining on painting the kitchen cabinets in. 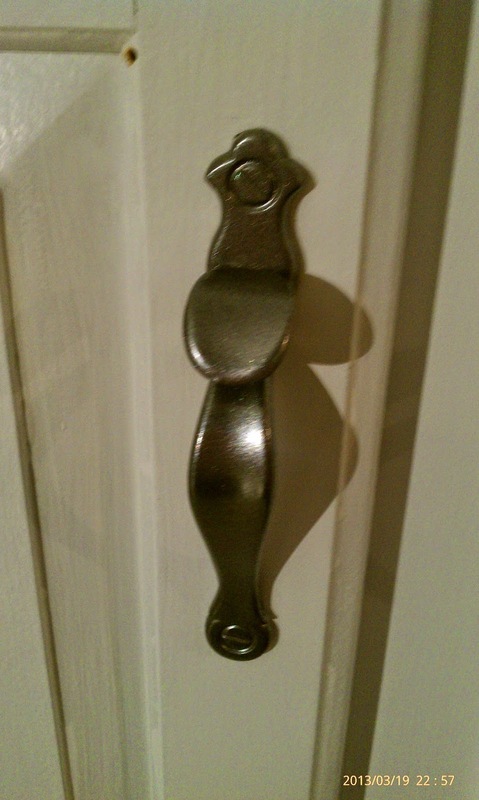 The hinges and handles were a brass color, of which we are getting rid of around the house. Instead of going and buying all new hardware, we found a nickel spray paint. Before we painted, we cleaned them and sanded them down. I think there's two coats of paint to make sure the brass wasn't coming through. We are absolutely happy with our decision. The final product! It gave us the added storage that we needed and it's a wonderful place to display our seasonal decorations. 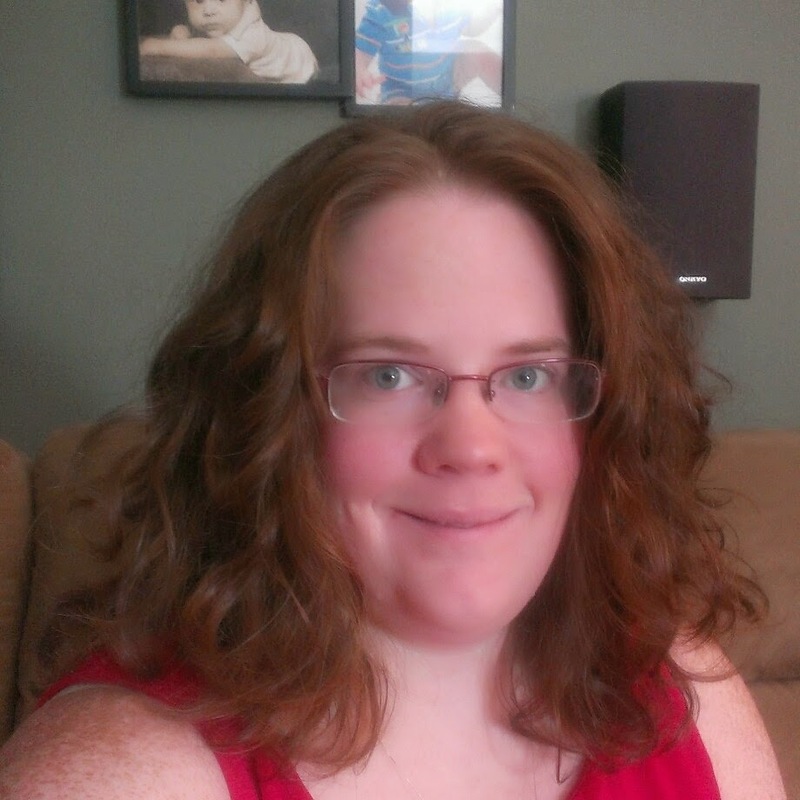 The one thing that makes it look like it was here when our house was built is that they are the same height and have the same crown molding as our kitchen cabinets. Once they are painted you'll never know that they came from a house in a completely different state! Jon's parents also gave us their kitchen table and chairs since they were under a kitchen remodel at their house and they didn't work with the new decore. Now we use the area more efficiently. 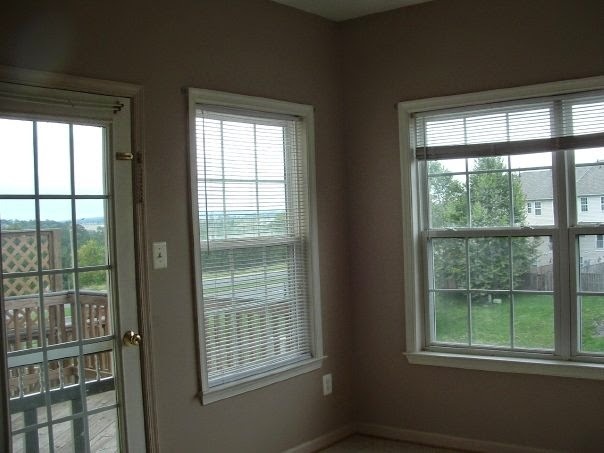 We plan to have some electrical done so that we can have a ceiling fan in this area. All this "remodel" cost us is the paint and most of that was paid for years ago. 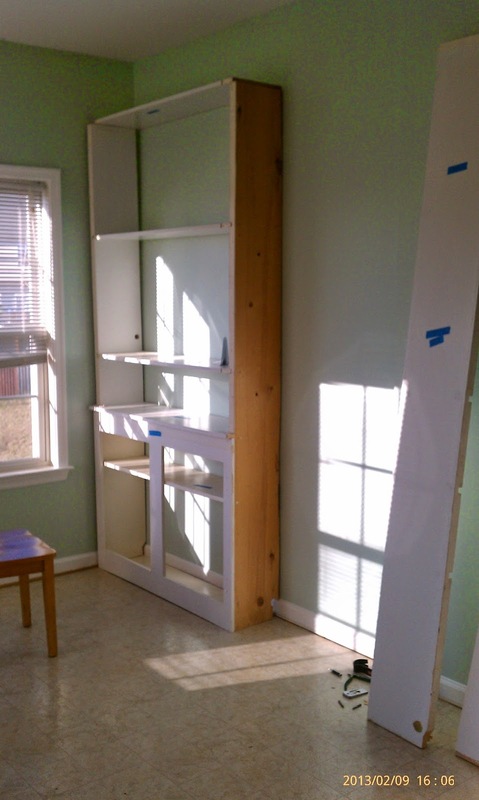 What remodels have you done around your house that cost you next to nothing? 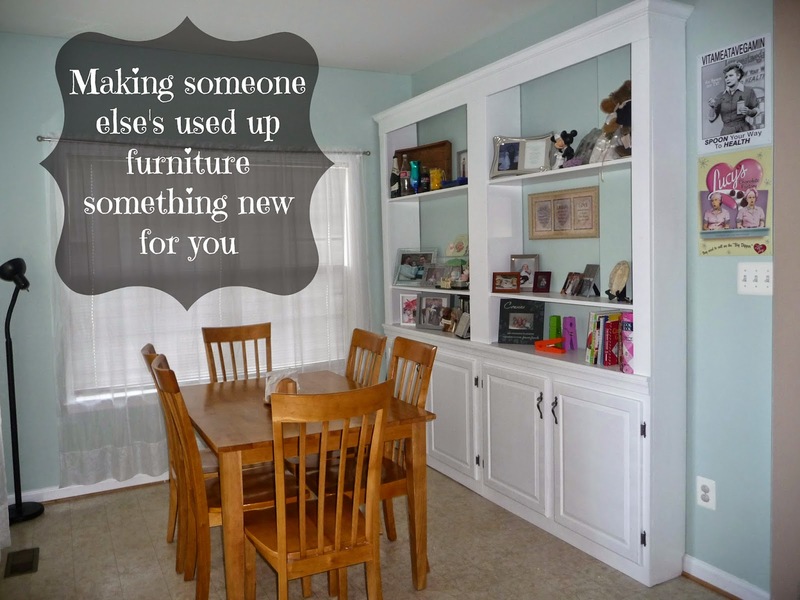 Have you brought pieces from other's houses, give them a facelift, and use them in your house like they are new?